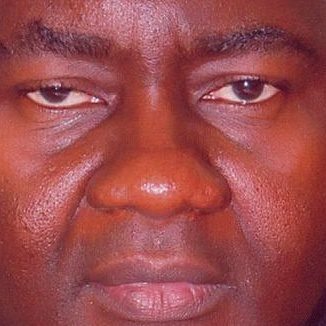 Senator Magnus Abe, one of the Gubernatorial Aspirants in the Rivers All Progressives Congress, APC, has vowed to challenge INEC in Court if it dares to put Tonye Dele Cole as the Governorship candidate on the ballot ahead of the Governorship election arising its interpretation of the stay execution granted the party by the Appeal Court. Abe who was on a live radio programme in Port Harcourt declared that APC secured a temporary reprieve at the Appeal Court to ensure that as a party it contests election. He argued that stay of execution Appeal Court granted APC is on score that it is the party that statutorily contests an election and that did not translate to mean that Tonye Cole and those produced through the Direct Primaries already voided by the state High Court should be fielded by the party. “The Court Appeal to grant a stay which was clear was in favour of APC. Mr. Cole has his own application for a stay for himself. That order has not been granted. This is declaratory order not an executive order. People should not stretch the interpretation beyond what it is presupposes that the court does not speak English. If the Court wanted to put people’s name on the list the court would have said so. And that order would have been served on INEC. “As it stands, the only order that be granted on INEC is that of All Progressives Congress to contest election. The substantive case of who should be the candidates that arose from either Direct or Indirect primaries of the party is yet to determined.”Senator Abe said. He said that as it were, the only option left for the party is to adopt the candidates who emerged from the direct primaries where he claimed over 150,000 members participated and the result is available to the party and all the constituted authorities like the INEC and the Courts. Senator Abe traced the genesis of problem was that Minister of Transportation and Director-General of the Presidential Campaign, Rt. Hon. Chibuike Rotimi Amaechi’s decision that he should not be allowed to participate in Gubernatorial primaries, which is his right as a foundation member of the party for which he nearly lost his life. When Abe was asked if he will be forced to dump the party for another if the problems lingered and things don’t work the way he feel “I think the question is insulting because APC promised change of doing things. Mr. President even said those who do not agree with the way decisions in the party are made are free to go to court. This is the only party that offers you that freedom that is why I am in it to fight that the right thing be done No other party can offer me that freedom, except APC “.